Deliver data and power to your network devices. 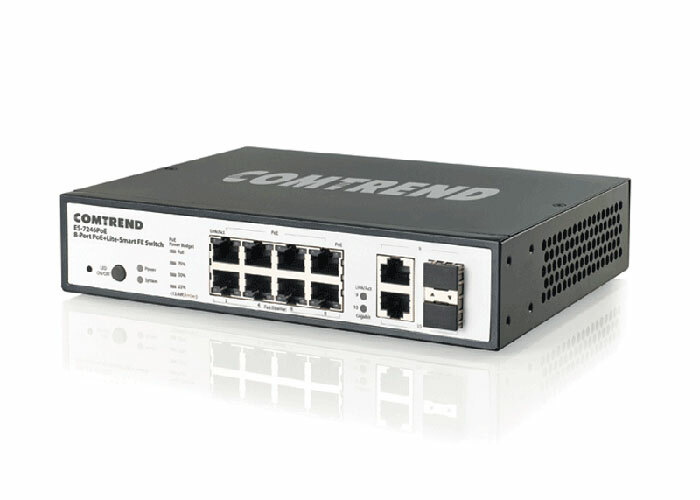 The ES-7246PoE is an advanced Lite-Smart Fast Ethernet Switch. It is equipped with 8 Fast Ethernet ports, as well as two Gigabit Ethernet ports. 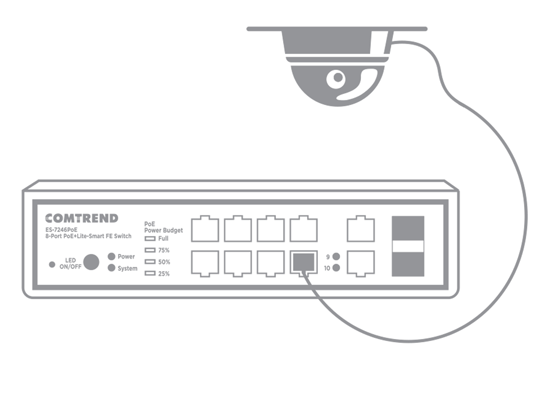 It is specifically designed for connecting to IP cameras. 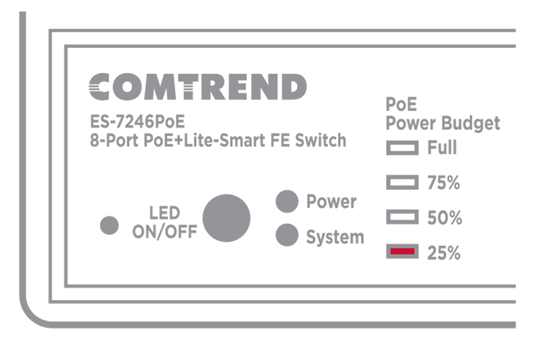 The ES-7246PoE supplies a 90 watt power budget for PoE function. Under the power budget, each Fast Ethernet port can support up to 30 watt power which is compliant with the IEEE 802.3af & IEEE 802.3at standards. Its unique power budget display also allows you to know what resources are available with just a glance. Easily identify if you are over budget with a glance at your Power Budget Display. Remotely disable and enable individual ports to reboot your PoE devices with the click of a button. Supplies up to 30 watts of power per port. Supports IEEE 802.3af & 802.3at standards. 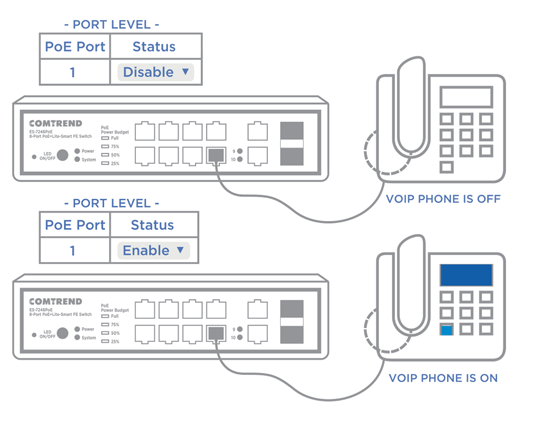 Portsï¼šPort 9-10, comply with IEEE 802.3z. Maximum output: 30 watt per port 1. 2. Automatically discover the connection of PD device. 3. Automatically disable port if the port current is over 720mA. 4. Via Web setting, working mode of each port can be configured. 5.
output port power limit will be associated with PD Classification Value. 6. Priority of PoE port is configurable.